E-commerce has become such a fixture of modern society that the general public is willing to order just about anything online. Perishable goods, curated subscription boxes and personalized clothing items are regularly ordered online. What's more, product complexity isn't the only thing increasing, as the expectations around rapid shipping and order processing are creating heightened expectations for the quality of the shopping experience itself. The result is immense pressure on retail companies to improve their logistics across the board in the name of better customer relationships. Diversifying retail distribution center locations can go a long way in helping organizations achieve this goal by eliminating a longstanding roadblock in e-commerce service models. It isn't news to say that e-commerce has grown considerably in recent years. However, a recent study from Grand View Research indicates that revenues in the sector are likely to continue increasing at a notable rate moving forward. The research projects market expansion at a compound annual growth rate of 11.7 percent from 2017 to 2025. Global economic growth and increased use of digital technologies the world over will help to spur this expansion. As the e-commerce industry goes through this period of rapid growth, many businesses find themselves needing to rethink how they manage their backend processes, including order distribution and fulfillment. 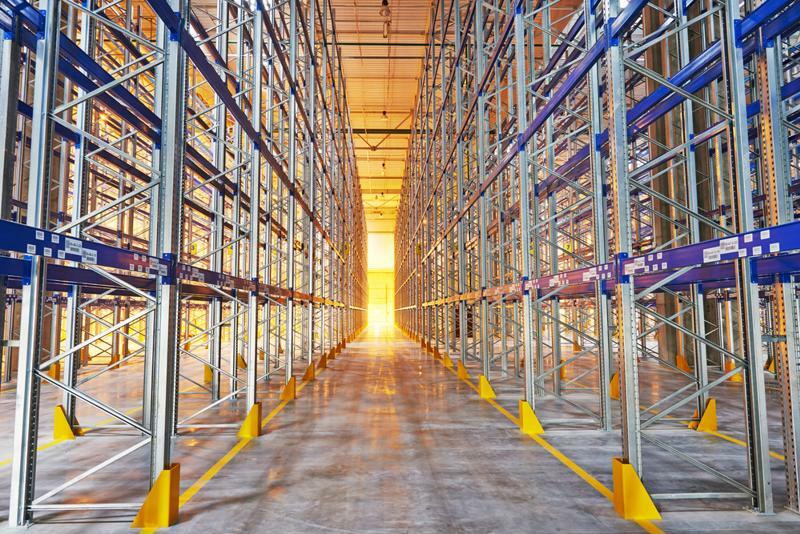 Diversifying your warehouse footprint can prove invaluable in today's e-commerce climate. The pressure to innovate is substantial, as retailers work to not only keep up with new e-commerce demand, but also deal with high expectations for speed and accuracy in all deliveries. In response, many retailers are implementing new technologies and tactics to help them bolster operations and improve process efficiency. According to a Logistics Management magazine study, the wave of warehouse and distribution center innovation that has been taking place in recent years has finally reached a tipping point. The news source found that technologies like voice-directed solutions and automated order picking are emerging from early use to mainstream. In that same vein, the move toward multi-distribution center strategies is also becoming commonplace in the sector. In essence, the shift toward diverse distribution center locations is no longer at a starting point with some early adopters getting on board. It is becoming a major practice aimed at getting goods closer to the customer. "Deploying multiple distribution centers creates an opportunity to get assets out to customers faster." Deploying multiple distribution centers creates an opportunity to get assets out to customers faster by reducing travel times. However, this strategy was long limited by poor visibility into warehouse inventories across multiple locations. Digital technologies are changing this situation. As modern warehouse management systems, enterprise resource planning solutions and internet of things devices become common, organizations can, for practical purposes, treat a network of geographically diverse facilities as an interconnected supply chain. Automatically identify the facility to ship from relative to inventory levels and customer locations. Streamline purchasing independently for each distribution center. Gather historic sales data to identify starting inventory levels across facilities and constantly tweak strategies based on sales forecasts. Manage regulatory and fiscal regulations that vary across state and national lines. This includes everything from shipping processes to managing human resources. Integrate data across customer-facing and internal systems to eliminate operational silos that would push each distribution center to operate in isolation. Supporting multiple distribution centers comes with significant operational overhead, but modern technologies can give organizations the data they need to simplify this process. The result is a situation in which organizations can store their products in the best possible location relative to their customers, making it easier to keep up with the shipping expectations set by industry leaders without taking on excessive costs. Furthermore, a distributed warehouse strategy allows organizations to deploy smaller facilities, making it easier to find necessary real estate space and keep costs under control. While modern technologies are simplifying management across locations, organizations still have a lot to think about when it comes to optimizing their operations. This is particularly true when global trade gets thrown into the mix, as everything from sales processes to packaging, shipping and delivery can vary substantially in different regions. These factors only become more complex when goods must go through customs and cross borders. Landmark Global can provide vital consulting and operational support, empowering retailers to keep up with the demands of distributed global warehouses.